Free course - How To Start a Profitable WordPress Blog Without Coding! In this course, you will Learn How to Quickly & Easily Build a Professional Money Making Blog in under 3 hours! I Have A Wealth of Experience Building Professional WordPress Blogs for Almost A Decade. Your Blog Will Be 100% Mobile Friendly (Responsive) and Display Perfectly on Any Screen Size. 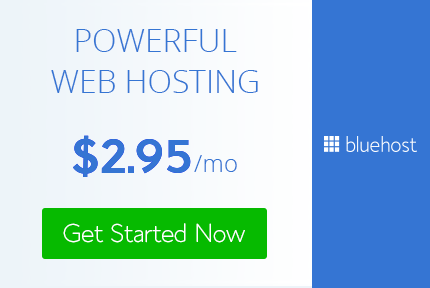 I Show You How To Get Your First Month of Web Hosting for Only 1 Cent! Plus, You Can Get Access To Our FREE Customizable Website Logos & AdSense PDF Guide! We Create The Blog Using the Same Technology as large Organizations and Celebrities including CNN, Forbes, Jay-Z and Katy Perry. The course is 100% Newbie Friendly - You Don't Need Any Previous Experience or Knowledge To Take This Course, and You Won't Need To Write a Single Line of Code to build your blog! The Course is 100% FREE and Always Will Be, and I Always Respond To Any Follow Up Questions Related to the Course.